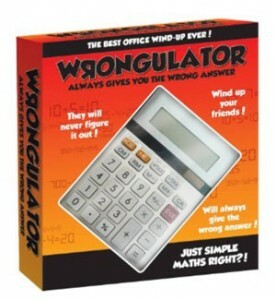 The Wrongulator, a calculator that intentionally gives the wrong answer, is a great gift for anyone who works in the medical field. You gave an old guy the wrong amount of heart pills and he died! Pranked!! !